Poison is a play that simmers with tension, where anger, bitterness and regret bubble away beneath the surface. When these emotions eventually do overflow, it's as cathartic as it is catastrophic. Written by Dutch playwright Lot Vekemans, the play is here presented in English with a translation from Rina Vergano first performed in New York last year. It sees a divorced couple (coldly referred to in the script as just "he" and "she") reuniting in a cemetery where their child son is buried - a toxin has seeped into the ground, meaning the graves must be dug up and moved elsewhere. Yet just as this is eventually unveiled to be a ruse, the cemetery itself is a metaphor for their failed marriage. Grief over their child's death has poisoned their relationship, seeped its way into the foundations and ripped them apart. When they meet in the cemetery a decade after the father (Zubin Varla) walked out on the mother (Claire Price) on New Year's Eve, their lives have drastically diverged and the damage to their relationship is irreversible. Price's mother is initially cheery, but it's all a mask for a woman who wallows in depression and grief. Its addictive nature consumes her and she remains lost in the past, unable to progress in life. Varla's father is shadowy and intense, but has found peace with the tragic events and moved on to a new wife and prospective child. 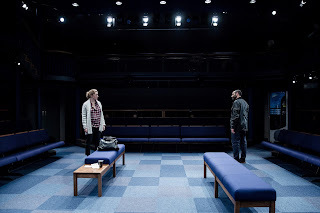 Over the course of the 80 minute run, their emotions shift like a kaleidoscope as they prowl around one another on the stage, poking and prodding one another with emotional knives to breaking point. 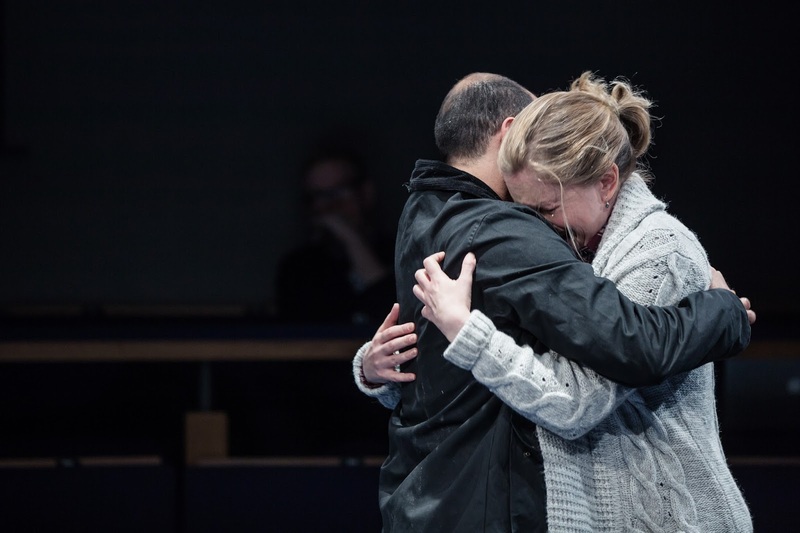 It makes for grim and uncomfortable viewing, yet this bleak play is ultimately hopeful. Vekemans takes a philosophical stance on grief and does offer a brighter future for both characters - even if its denouement remains open-ended. Simon Daw's simple production only heightens the cold chill between the characters. The actors' delivery is at times stilted, perhaps the consequence of a translation that doesn't always feel natural. But they soon settle into a rhythm and offer emotionally charged, captivating performances. Ultimately, the pregnant pauses and frosty silences between their lines prove utterly compelling. Watch: Poison runs at the Orange Tree Theatre until 2nd December.